This post is by Kate Baldwin, Curator of Education at the Litchfield Historical Society in Litchfield, Conn. The Civil War Experience is the most popular of the two programs and the participants already have a great base of knowledge when they come. 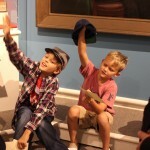 For the past six summers, the educators at the Litchfield Historical Society have offered two week-long history experiences. 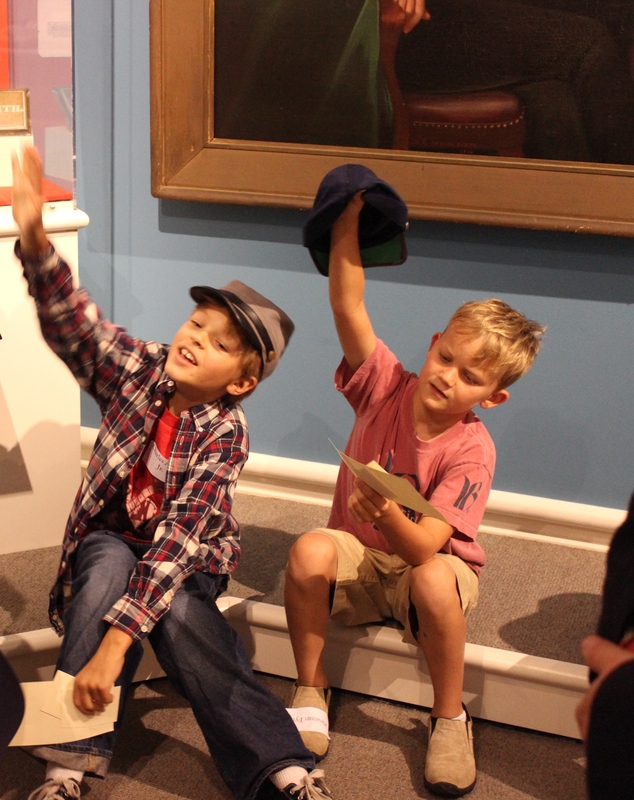 For one week, three hours a day, kids ages 7-14 are immersed in two different time periods: the Revolutionary War and the Civil War. These camps are labor-intensive but definitely worth it, as we have repeat participants each year. To make sure we keep the camps fresh, we begin to think about and plan—everything from the specific subjects we will teach down to the historic snacks we will eat each day —a good six months in advance. In three years of running these programs, I have learned many tricks to not only keep the educators’ sanity, but also to keep the kids interested and under control. Have a Plan B…and C and D: This is a no-brainer for educators, but the worst feeling when implementing a program is having time to kill and nothing to kill it with. Scavenger hunts and period-appropriate games have been our saving grace. Also, you never know when the weather will turn and you will be stuck inside with 20 rambunctious kids. Divide and conquer: Get good help. I know this can be a challenge, but it is worth it. Between education interns and mature high school students, we are able to divide the kids into regiments that they will stay with the entire week. This helps tremendously with keeping control and the noise levels down when we also have visitors and researchers in the building. Seek parental guidance: Get as much information from the parents about their children as possible. A few behavioral issues could have been avoided if the parents had mentioned them to us beforehand. We’ve included explicit examples on our registration form that we hope will encourage parents to share. Simplify: Don’t overcomplicate the activity. Make sure instructions are written in an understandable way, and make sure to practice your activity following those instructions before setting your participants on it. I spent too many hours one year putting together telegraphs because the instructions were too difficult for the kids. Explore your inner child: While we expect the kids to learn a few things during the week they are with us, we do expect them to have fun and be kids. One of the favorite activities among the educators is Mad Libs. We’ll take a letter or document from our collection, turn it into a Mad Libs and then read the real version once the kids have spent enough time reading their silly versions. Another favorite activity is any type of old-fashioned game. I very much enjoy when the kids find out that some of the games they play today have been played for hundreds of years. We are in full planning mode now as the first of our week-long programs begins in July. As detail- oriented and exhausting as these programs are to run, I am excited for another great summer!